In this examination of the art of Rafael Ferrer, Deborah Cullen considers the creative evolution of the Puerto Rican-born, U.S.-based artist, who is widely recognized and critically acclaimed for postminimalist environments created during the 1960s and 1970s. In the 1980s Ferrer turned to painting, producing vibrant figurative canvases that depict life in the Caribbean—an apparently abrupt change that surprised the art world. Cullen traces Ferrer’s trajectory, beginning with his early experiments in Surrealism and continuing to the small-scale collages, chalkboard drawings, and paper-bag faces that represent his latest work. She explores the links that tie these works together, including Ferrer’s concern with current events and personal memory, his deep understanding of art history, and his restless, probing curiosity. 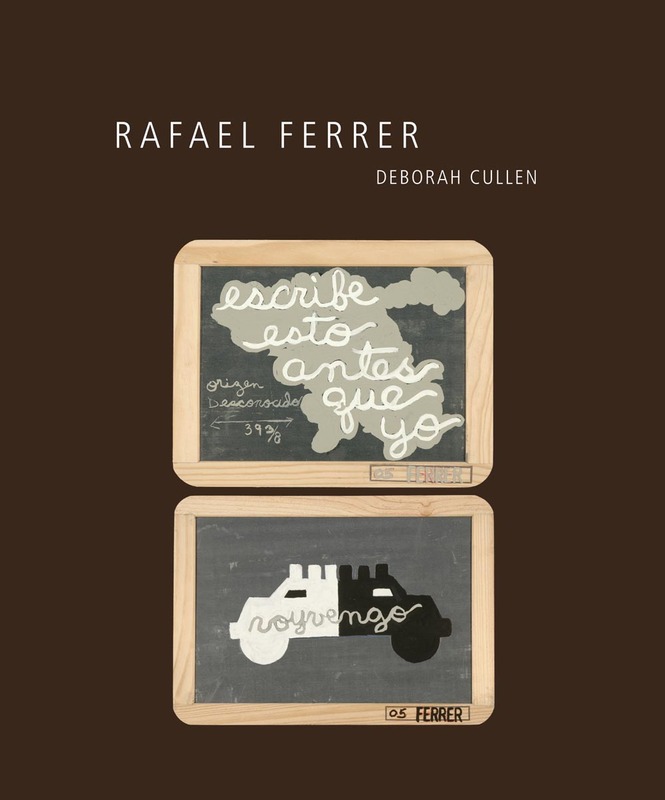 Now in his seventies, Ferrer is, as Cullen notes, more productive than ever. Pizarras (Blackboards), a recent major installation piece, is composed of ninety-seven wood-framed slate tablets filled with grisaille paintings that combine Spanish wordplay and iconic shapes and doodles. The blackboards mark Ferrer’s continued involvement with urban discourse and commitment to his role as a chronicler of his culture. "Cullen defends Ferrer's consequential inventiveness as the most genuine form of art making, and the freedom of the artist to choose his own direction."